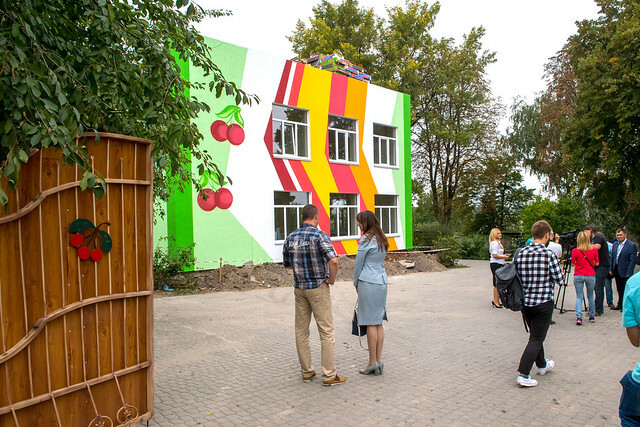 The European Union supports small Ukrainian towns to decrease their CO2 emissions, improve living conditions for their citizens, and substantially save public funds which can then be re-invested for the benefit of all. But how does it do this? 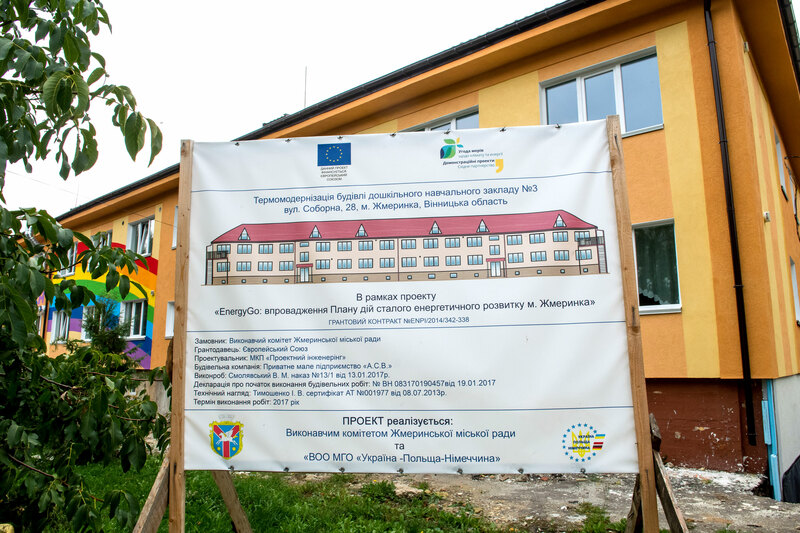 Zhmerynka, a small town of 35,000 population in Ukraine, which applied for funding through the EU-supported “Covenant of Mayors – Demonstration Projects” programme to support a project to increase its energy efficiency. Two state schools and two kindergartens in Zhmerynka were selected for funding and are now being renovated with a total of €727,600 of EU funding. The four lucky partners of the project, are known as Kindergarten No. 3, Kindergarten No. 4, School No. 3 and School No. 4. 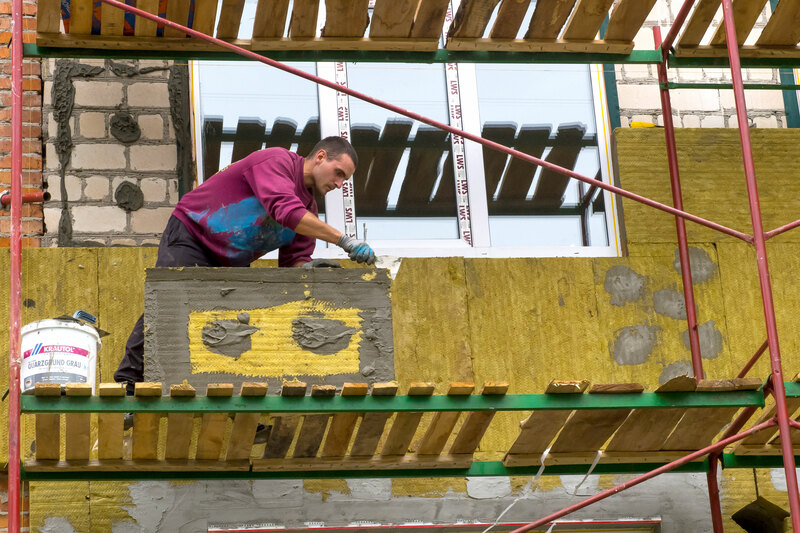 After participating in the EU-funded programme, which aims to combat climate change, the small Ukrainian town of Zhmerynka can look forward to savings of more than €80,000 a year thanks to the newly implemented energy efficiency measures. Moreover, its CO2 emissions will decrease by 243,000 tonnes annually – this will save enough power to cook around 1 million pots of borscht. Five-year-old Kira has already been going to Kindergarten No. 4 for a few years, and her father Oleh Didukh says that his daughter likes it there. However, until recently, it was cold there in winter, so Kira used to get sick often. 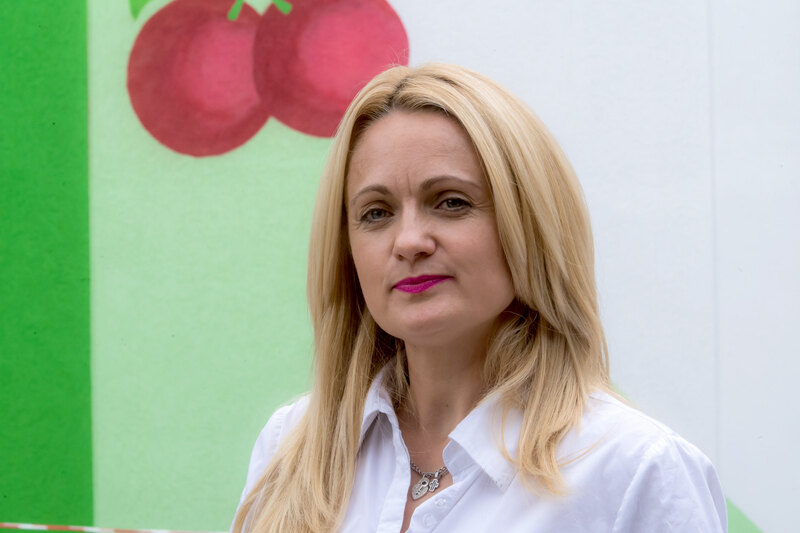 Alina Tverdohlib, director of Kindergarten No. 4. 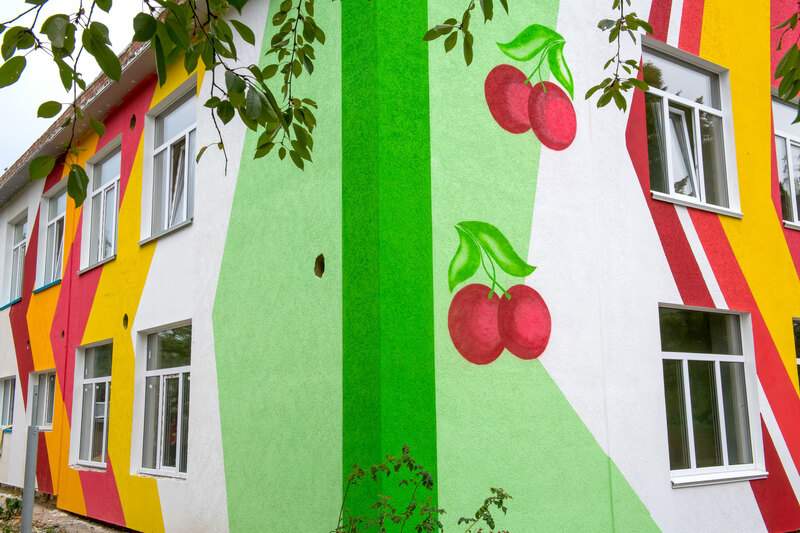 In total, €134,000 of the EU funding through the project was invested in renovating kindergarten No. 4. The kindergarten’s director Alina Tverdokhlib explains that, thanks to this investment, windows have already been changed, roof repairs are almost complete and insulation works are being finished. Thanks to these renovations, the children's parents are now also starting to think about the benefits of energy efficiency. “The issue of saving resources has become a priority in the country, for each person and every household. It’s a pity that we’ve simply started to think about this so late,” says Vladyslav Morzhenko, whose two sons also go to kindergarten No. 4. According to expert assessments, an increase in the energy efficiency of kindergarten No. 4 will lead to significant energy savings. More than 270 MWh of heat per year will be saved, or the amount from burning 16 trucks of firewood. The CO2 emissions into the atmosphere will decrease by 65 tonnes per year, which equals 7 homes’ energy consumption per year. 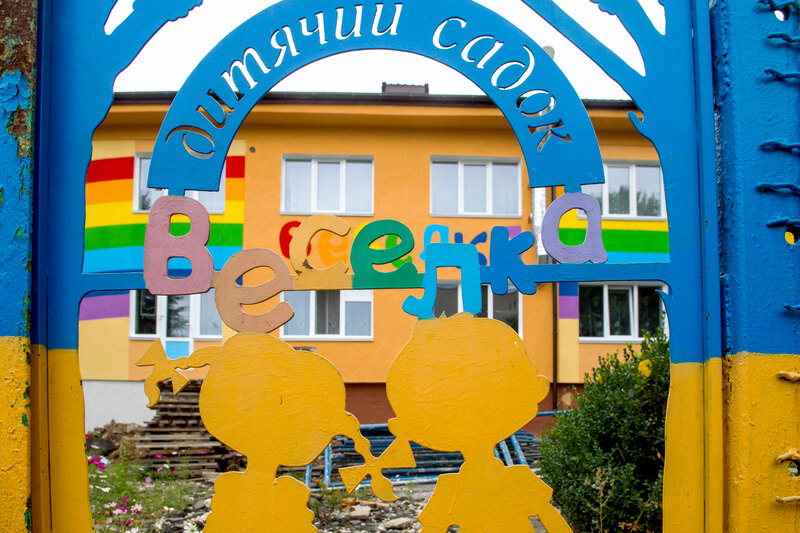 In addition, the kindergarten will cut its annual expenses on utilities by almost €18,000. It is planned that these savings will be invested in new equipment and in the children's education and development. 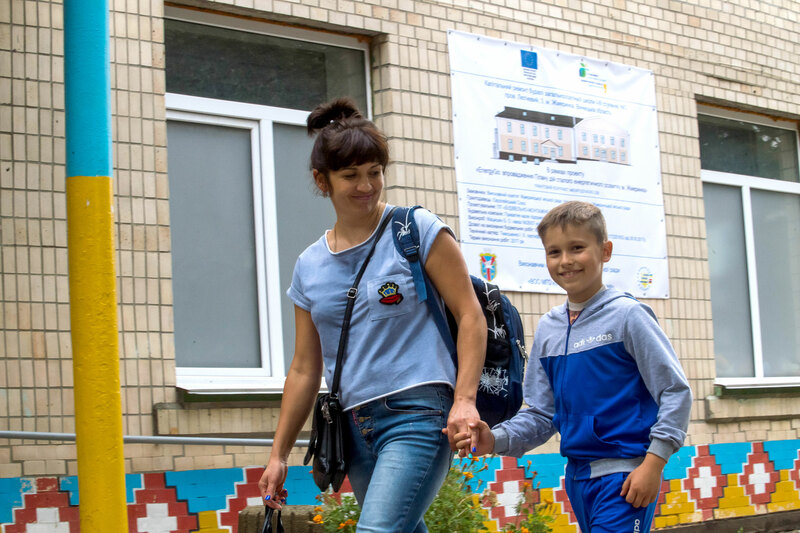 Zhmerynka resident Hanna Vantova takes her son to kindergarten No. 3, “Veselka” (meaning “Rainbow”). “The roof was leaking when the weather was bad outside and it was only 15 ºC in the room where my son's class was based,” she says. Now there is hope that the situation will change for the better. 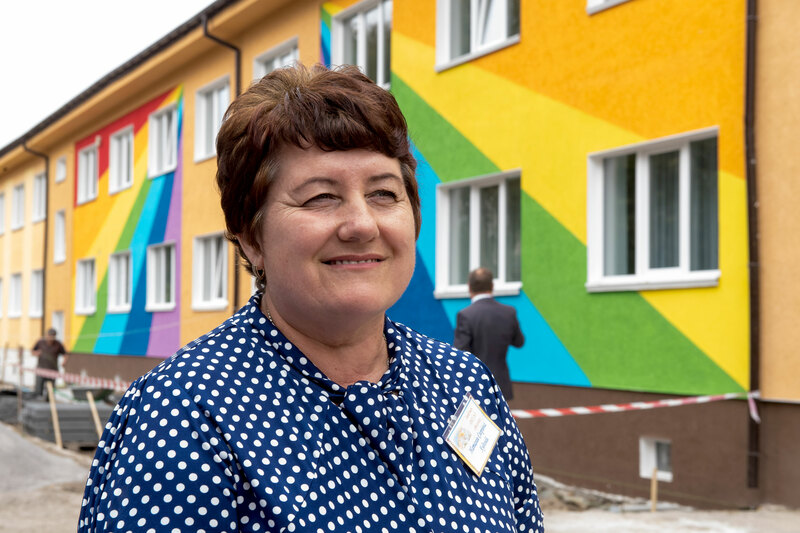 “In this kindergarten we have changed and insulated the roof, basement and walls, changed the windows, and installed new ventilation and heating systems,” explains Hryhoriy Romanenko, a representative of the contractor that carried out the renovations in the kindergarten. A new air recuperation system has also been installed in the kindergarten. Special recovery heat exchange equipment ensures that warm air does not leave through the windows, but is instead reused with the help of special systems that heat the new, fresh air that comes in. “Now we can keep the temperature in the building at 20 ºC in the winter. We set the temperature ourselves and control the humidity,” says the director of kindergarten No. 3, Nataliya Khudoliy. In total, €92,000 was invested for the refurbishment of the kindergarten. The thermal modernisation of kindergarten No. 3 has many advantages and will allow the establishment to cut its CO2 emissions by 50.4 tonnes per year in the future – the equivalent of emissions of 108 cars being driven for one year. 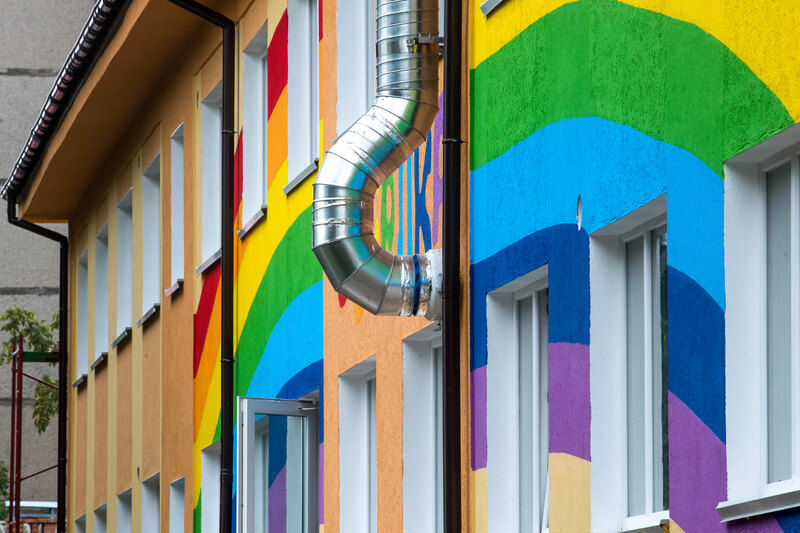 Thermal modernisation of the kindergarten will also allow savings of 223.7 MWh of heat, enough to heat 20 apartments during a year, and generate €13,000 in financial savings each year. School No. 3 celebrates its 105th anniversary in 2017. The school's roof is leaking, wooden window frames have holes in them and in winter, the average temperature in the classrooms is 14 ºC. 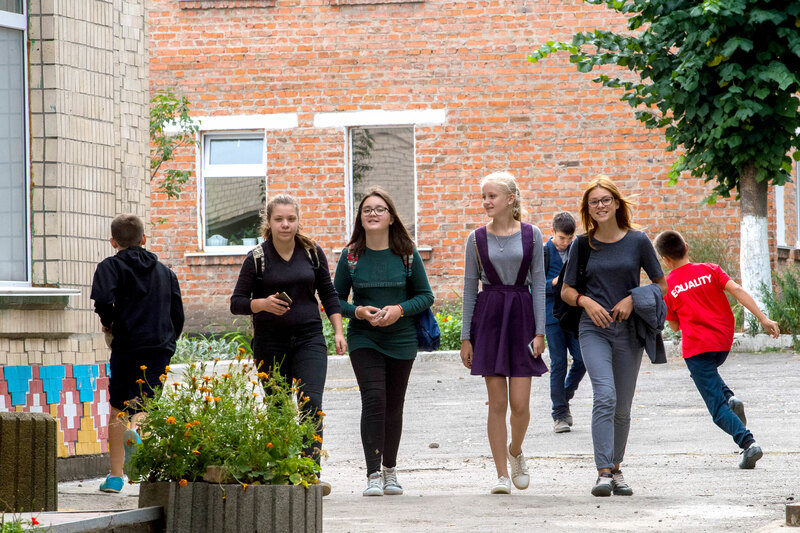 Despite the fact that the school is almost in an emergency condition, it has the highest number of schoolchildren in the town: 920 pupils study here. Now, with help from the EU, the school’s roof will be renewed, the walls insulated and new windows installed. Almost €100,000 is being invested for the major overhaul of the roof and insulation of the walls. “The recuperation system is being designed at the moment as well. Each classroom will have two recuperation devices to ensure optimal air temperature in the room,” Romanenko explains. Based on the preliminary assessments, school No. 3 will save 281.1 MWh per year, enough energy to heat 13 private buildings during a year. 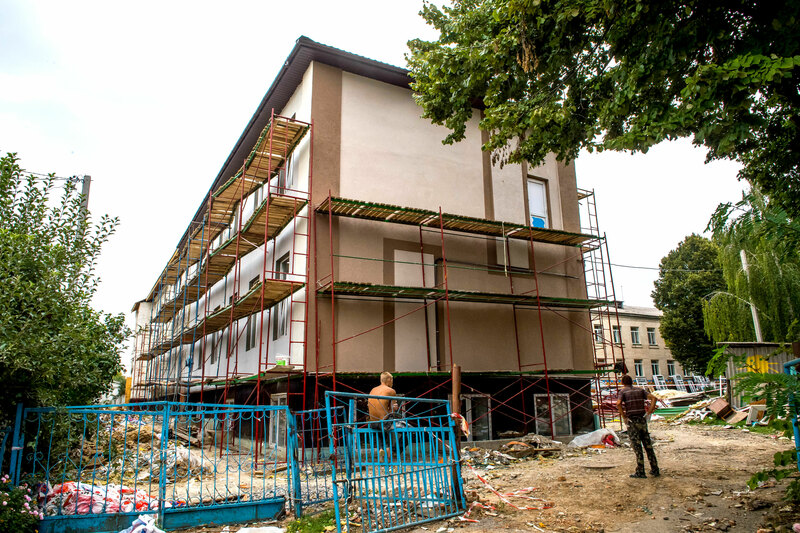 After the repairs, the school will also decrease its CO2 emissions by 49.2 tonnes per year, which equals greenhouse gas emissions generated from driving 200,000 km by an average car. Thermal modernisation will allow school No. 3 to save €16,000 each year, which can in turn be invested in new school equipment and materials for the students. The Covenant of Mayors – Demonstration Projects programme was initiated by the European Union for small towns who are signatories of the Covenant of Mayors in the Eastern Partner countries. The programme helps the towns to implement their Sustainable Energy Action Plan and offers grants for energy efficiency projects. In return, the participating towns make a commitment to decrease their CO2 emissions by 20 per cent by 2020. Zhmerynka is not the only town that has had the chance to participate in the EU thermal modernisation programme. Any town with a population of under 200,000 people can participate in this EU-funded programme if it signs up to the Covenant of Mayors. “Small towns such as Zhmerynka, Slavutych and Dolyna do not have large budgets. It is not so easy for them to borrow money or get a loan. 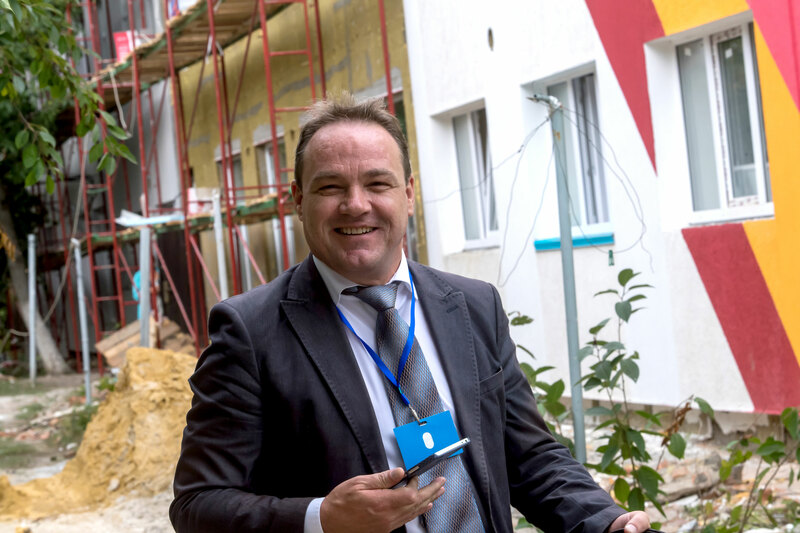 That is why the EU decided to help financing smaller towns,” explains Jan Waanders, Team Leader of the support team of the Covenant of Mayors – Demonstration Projects programme. Based on the results of a selection competition, the EU selected the 19 most promising projects, of which 11 are based in Ukraine. The total EU funding for this programme amounts to €14.2 million, out of which €8 million are allocated for Ukraine. How can my town get involved with the Covenant of Mayors and receive support? Initiated by the European Union, the Covenant of Mayors is an association of small towns that have made a commitment to increase energy efficiency and the use of renewable energy. Ukrainian towns started to join the Covenant of Mayors in 2009. As of October, there were as many as 198 signatory towns in Ukraine and their number keeps on growing. Any town can become a signatory of the Covenant of Mayors. One of the most important documents which should be developed and implemented in this regard is a Sustainable Energy Action Plan. This is a guarantee not only for towns’ energy efficiency, but also for a better quality of life for the people. Find out more about this initiative here.